We asked supporters of our Bostik League clubs to preview the new season, reflect on the old and predict the final outcome. Their predicted 1-20 (or 22) will be worked into a final table which you will see just before the big kick off, just in time to argue about it in the clubhouse! 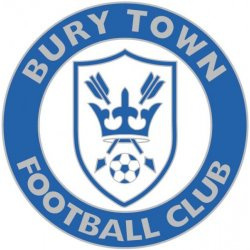 We caught up with Bury Town fan Drew Kendall to learn about the world of Ram Meadow. My favourite moment of last season was when Bury got revenge on Tilbury for the FA Cup defeat by humilating them 6-1 at Ram Meadow. The stand out moment was when the Tilbury keeper, Clarke Bogard- who had became public enemy number 1 with the fans after the previous meeting- was sent off for stamping on Bury striker Olly Hughes, with Cemal Ramadan dispatching the following penalty with ease against stand-in 'keeper Joe Turpin. The worst moment of the season for me has to be conceding the late equaliser to Sudbury at home. Bury had taken the lead midway through the second half, and looked like seeing it through, until a low cross from the right found Philip Kelly who turned it home from close range. A victory for Bury would have given them more momentum in their hunt for a playoff place. I think Bury will finish in the playoffs this season, particularly given the signings they've brought in. I think they will do well for the club, mixed with the youth players who played well for Team Bury in the Thurlow Nunn League. Bury have, in my opinion deserved to be up in the top 6 in the last few seasons, and have just been hindered by injuries. The matches I'm looking forward to most are the ones against Sudbury, Felixstowe, Soham and Mildenhall, since there is arguably nothing better than a local derby with bragging rights at stake. Especially with both sides filling the terraces, creating a fantastic atmosphere in support of their club. My favourite away ground would have to be AFC Sudbury's Kings Marsh, due to the fantastic facilities the club has on offer, and how well the pitch looks on a consistent basis. For me our biggest rivals have to be AFC Sudbury, due to the local rivalry, both teams (and supporters) are really desperate to beat each other, so this is most definitely the game I look forward to most when both sides are in the same division. Make sure that you get your voice heard, as the home support can (mostly) drown out the opposition, with the sheer volume that we create! My favourite Bury player of all time would have to be the now Leiston player, Cemal Ramadan. Cemal was the second top scorer in the division for us last season (with 34 goals), with a large variety of goals within them (penalties, long rangers, lobs etc). He was miles better than the opposition; everytime he touched the ball you knew something special was about to happen, but you never quite knew what he would do. He could produce something out of nothing, and was arguably the best player in the division by a mile.